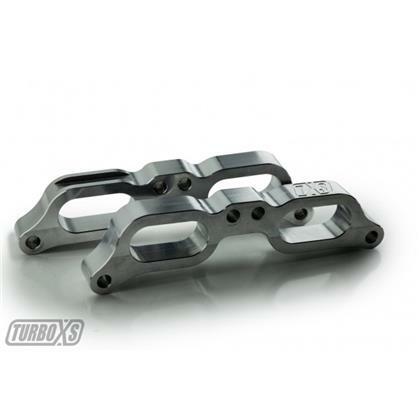 W15-TGV - Turbo XS Tumble Generator Valves (TGV) Delete - Dezod Motorsports Inc - Home of the automotive performance enthusiast since 2002. TGV Deletes are an easy and cost effective way to eliminate restriction in your 2015 WRX intake tract! ﻿Tumble Generator Valves (TGVs) are used to create swirl or “tumble” in the airflow in your intake manifold tract at idle. While this helps improve efficiency and reduce emissions at idle, it also creates significant restriction when trying to make more power. TurboXS gives you an attractive and easy to install solution to this problem. Sold as a pair. Uses stock hardware. 1. You will need to get your car tuned with some form of programmable engine management system such as the Cobb AccessPort﻿ when you install this part﻿﻿. 2. Removing the OEM TGVs will result in a Check Engine Light (CEL). We suggest that you use some form of engine management system such as a Cobb AccessPort to eliminate the CEL.